AL-UDEID AIR BASE, Qatar (AP) — Turkish and American troops could begin conducting joint patrols in a matter of days around the northern Syrian city of Manbij within the coming days, the top U.S. commander for the Middle East said Sunday. 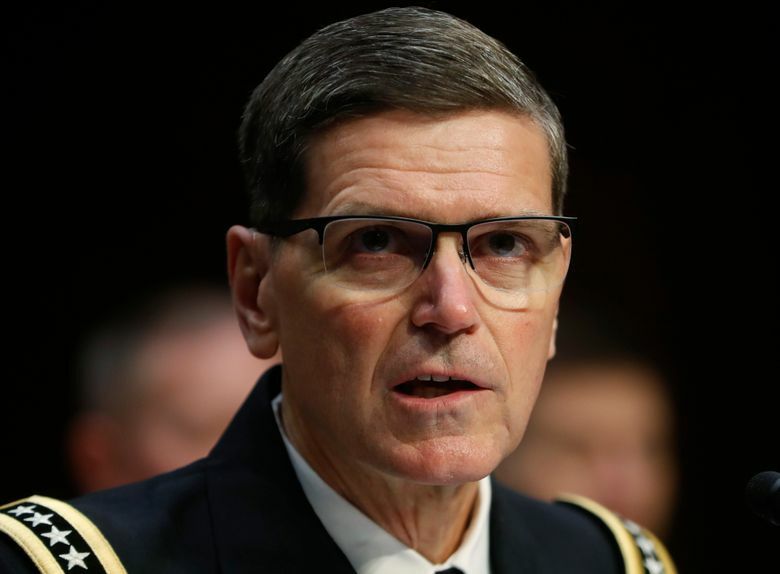 Army Gen. Joseph Votel, head of U.S. Central Command, told reporters traveling with him that the soldiers’ training is expected to last “several more days,” and then will transition to combined patrols. The initial instruction of Turkey’s military trainers began at the beginning of the month, then all the troops were brought together for training to ensure they can all communicate, work together and operate with the same military tactics and procedures, particularly if there is an attack or other incident. The training had been delayed a bit while equipment was brought in and the two countries worked out the details of how the operations would be conducted. Manbij has been a major sticking point in the strained relations between the U.S. and Turkey. Ankara considers the U.S.-backed Syrian Kurdish militia, the People’s Protection Units, or YPG, a terror group that is linked to a Kurdish insurgency within Turkey.